How Far is KNR Abirami Webster Village? 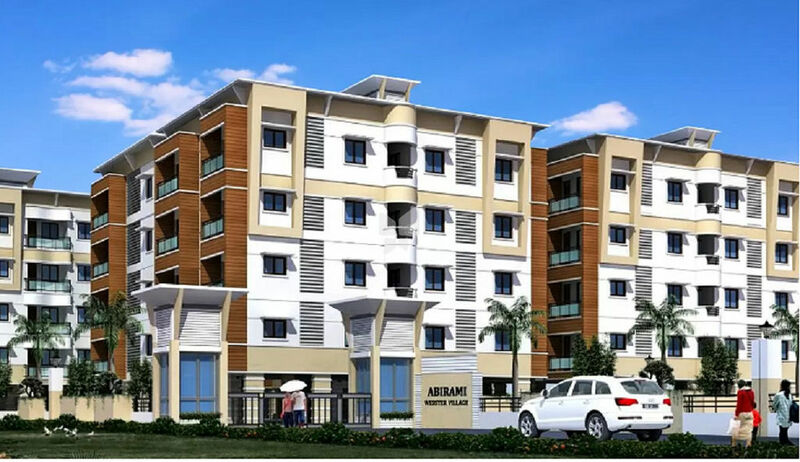 KNR Abirami Webster Village is one of the popular residential developments in Vandalur, neighborhood of Chennai. It is among the completed projects of its Builder. It has lavish yet thoughtfully designed residences in 7 Blocks. RCC column foundation with plinth beam connecting all Columns. 9" Brick work for external wall using quality bricks. Kitchen Will have one loft on the shorter span, child bedroom will have one loft on shorter span. Ventilator- Aluminium louver type frame with provision for exhaust and bottom glass. Wall tiles to a height of 2' 0"
All sanitary wherever not mentioned will be of parryware make. Two way bedside switching system for all bedrooms.